Soak up the sun in Sherri Hill 52410. 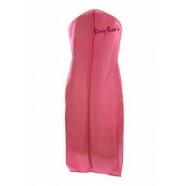 This radiant silk charmeuse gown has a classic V-neckline, tank straps, and a U-shaped back, with zipper closure. The flowy, pleated, A-line skirt has a sultry side slit, and elegant sweep train. Make your shining debut in this gown at a prom, wedding, or military ball.